And not in the sense that, “Oh, pick a major that you like and the job will come.” Unfortunately, that’s not really the case. I was an English major and I chose the major because I knew I wanted to be a journalist or book publisher. I was 100% sure I wanted to be able to write, edit, proofread, etc. I held internships in college but nothing of extreme substantial lasting value. Choose a major of a career path that you love, not necessarily a major I love. (For example: Had I had the experience, I probably would have been a Business major, but during college, I thought, ‘I never want to do business. '”) The more you know! Ok, so no one necessarily “loves” a job, but you sure can like a job a lot. Having a job where you feel part of the team and you feel like what you do actually matters/benefits the company, you’ll really start to love the job. A job shouldn’t be just an everyday, 9-5, 5 days a week hassle where you have to literally drag yourself out of bed in the morning. (I’ve been there.) A job is something that you, no matter how much you don’t necessarily love your tasks, can really really thrive at doing. Your career isn’t school — no one’s going to give you a bad grade if you don’t hand something in or do a poor job at it. BUT, your career is not only your source of income but should also be your livelihood. 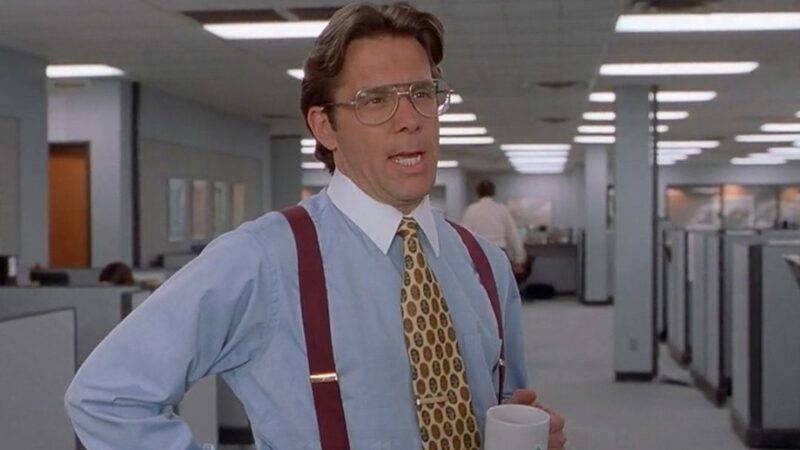 If you don’t want to excel at your job, why should your boss want to keep you onboard? And if you’re working just to pay your bills, think again. Money is nice, yes it definitely is. But money isn’t the only reason why you’re working a job. Yes, we all have student loans, rent/utilities to pay for, gas, car insurance, car payments, not to mention, you know, food and Netflix subscriptions. Plus, you want to have a savings account in case of emergency. That’s why, when it comes to working one of your first jobs, it is crucial to save. I’ve been pretty much dedicating most of my paychecks to paying off my student loans/trying to finish paying off my credit card plus my everyday expenses. I don’t splurge on anything anymore, and I don’t really have a desire to anymore. You definitely learn the value of a dollar when you’re only making so many hourly. You have new responsibilities at work, that’s awesome! But if the responsibilities become overwhelming, do not be afraid to say something. If you aren’t going to be able to produce the results you want to produce given your excess amount of work, no one is going to be satisfied in the end. Speak up, and don’t be timid. Chances are, your industry is constantly changing. If you don’t keep up with it, no one’s going to tell you. 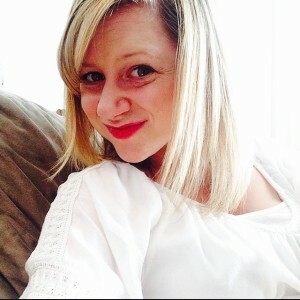 Your new teacher? Yourself. And your laptop, industry experts, etc. If you’re not keeping up with the latest trends, chances are, you’re not going to succeed at your work! Stop being sassy about getting feedback on your work; to be honest, it’s for the best, even if you don’t want to admit it. As a writer/editor, sometimes I find it hard to take critiques, but I realize that it’s only helping me grow and better myself as a writer. Failure is IMPORTANT to success. That’s right — failure helps you succeed. Your boss once failed, and your boss probably still fails. Don’t assume you’re being judged and manipulated left and right when you’re starting off at a job or even are a few years deep. Every day is a learning experience and take it as a gift! If you seek opportunity elsewhere and you think it’ll be a better opportunity, you should take the leap. But seriously….Is Coffee Actually Good For You? Ah, coffee. My pride and joy — the reason I get out of bed. But, what if it’s actually causing you to stay out of bed, even when you need to wake up in, say, a mere five hours? We’ve heard back-and-forth banter about whether or not it’s a myth that coffee is good for you and offers a whole array of health benefits. The other day I heard a couple conversing, and one asked, “Is coffee good for you? It can’t be, right?” Wrong! The health impacts of coffee have long been a controversial topic, as there are two sides to every story. 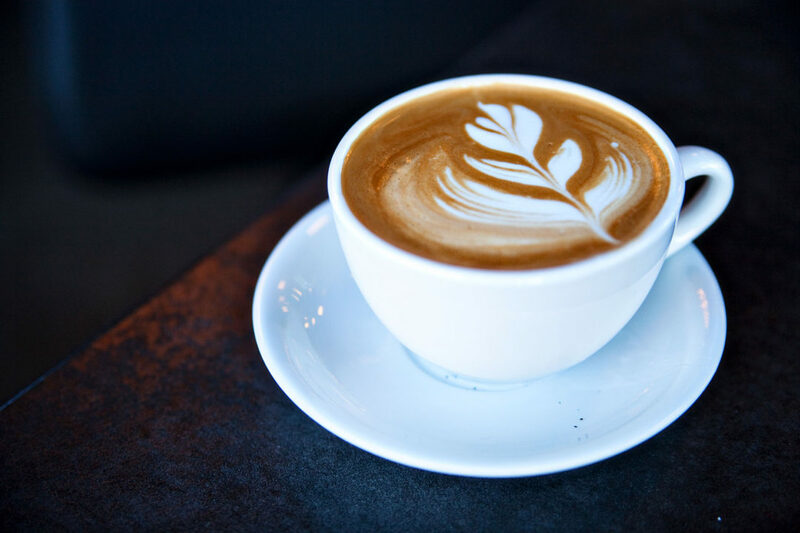 Pro-coffee connoisseurs promote coffee’s antioxidants, while those on the other side name the downsides, such as insomnia, increased heart rate and blood pressure. Fear not: drinking coffee may be healthier for you than you thought. Well, it all comes down to what’s in your coffee, how much you drink, and when you drink it. Let’s break it down. Three to Five Cups A Day: A-Okay! Grab that java! A study of 25,000 participants in South Korea found that moderate daily consumption of coffee, or three to five cups, is correlated with a decreased risk for coronary artery calcium. The middle of the ground, four cups of coffee, was also found to reduce one’s risk of melanoma, a very dangerous form of skin cancer. A high amount of coffee consumption, or four to six cups a day, reduced coffee-sippers risks of getting multiple sclerosis (MS). Before you start downing your fifth cup today, be sure to drop the cream and sugar. Drinking coffee with a loaded amount of cream and sugar and calling it “healthy” is the equivalent to deep frying potatoes and calling it healthy. (French fries for health!) If you can’t stand drinking completely black coffee, opt for a little bit of cream and a little bit of sugar. Just keep it to a minimum and be sure to choose all-natural sugar as opposed to artificial sweeteners. Many studies conducted have linked coffee consumption to lower rates of depression in both men and women. In several studies, the data suggested a relationship between coffee consumption and depression: in other words, heavy coffee drinkers seemed to have the lowest risk (up to 20 percent) of depression. A study from the Archives of Internal Medicine shows those who consumed six or more cups of coffee a day had a 22% lower risk of diabetes. A review of research conducted by Harvard’s Dr. Frank Hu showed that the risk of type II diabetes decreases by 9% for each daily cup of coffee consumed. Aside from actually lowering the risk of liver cancer, coffee consumption has also been linked to a lower incidence of cirrhosis of the liver. A study in the Archives of Internal Medicine showed an inverse relationship between increased coffee consumption and a decreased risk of cirrhosis, or a 20 percent reduction for each cup consumed (when consumed up to four cups). Grab Decaf after 2 P.M. So, Is Coffee Good For You? If you keep it to a minimum, drink your coffee in its (mostly) pure form, and watch the clock, you can see the many health benefits of consuming coffee. Just remember, if you’re sensitive to caffeine, try and reduce your caffeine consumption even more. What’s your go-to caffeine kick? Or, do you prefer the au-natural boosts of sleeping a good 8 hours a night? There are few things I enjoy more in than eating high-quality sushi that you know is freshly made. To best completely honest, I rarely stray far from the cooked and vegetable sushi options. I know that some people swear by the raw rolls (and that I’m not eating “official” sushi when the fish is cooked), but hey, I enjoy it nonetheless. A few weeks ago, I was eating a set of California rolls when I discovered that the crab I was eating was actually imitation. (I received a whole lot of, “You didn’t know that?! from friends). No, I assumed crab was crab, and only the supermarkets sold the “imitation” version. Well, it all depends! Luckily, you have the option of asking for real crab instead of imitation crab. It costs a little bit more, but wouldn’t you rather enjoy the health (and taste) benefits of real crab? On the other hand, if you’re eating deep-fried shrimp tempura or sushi loaded with mayo and cream cheese, then you’re not enjoying the many health benefits of other kinds of low-fat, protein-filled sushis. Many sushi rolls are considered healthy foods and are a great source of omega-3 fat (the healthy kind of fat) and other vitamins and minerals. I cannot stress this enough! I personally find brown rice to be more satisfying, filling, and tasty than white rice, which is just brown rice that’s zapped of its nutrients. (Yeah, not satisfying.) Whole grain brown rice is packed with fiber, so it’s great for your digestive system. It keeps you full and satisfied, so you’re not craving fried ice cream afterwards. Unless specified, sushi comes with traditional white rice, so don’t forget to ask for brown rice! If you don’t want a huge portion of rice interfering with the flavor, you can request half the rice. (Yes, you can do that, as well. Remember, it’s made fresh, so you can custom order.) If you really don’t want any rice, opt for sashimi, or plain, raw fish without rice. 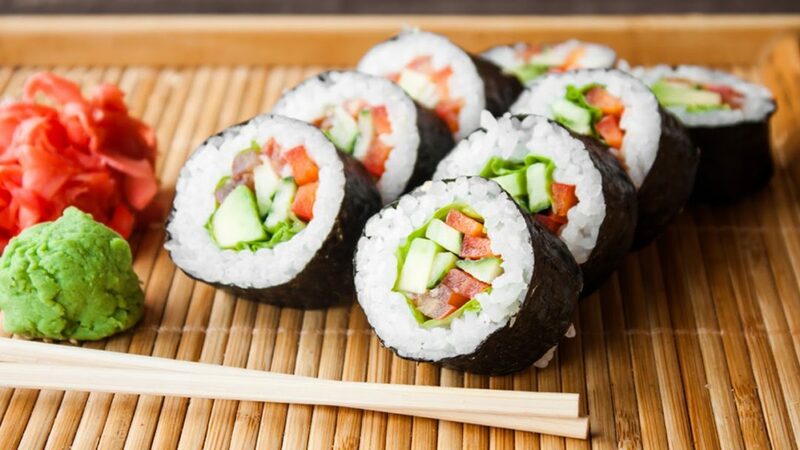 If you prefer cooked or vegetable rolls, you can also opt for nori, which is dried seaweed, wrapped around your filling. Nori is packed with fiber, protein, and a number of vitamins, making your sushi even healthier. Wasabi, the little green paste on the side of your dish (which is actually really just a combination of horseradish powder and mustard — it’s rare to find actual “wasabi” in America) packs a loaded spicy punch to your sushi. And — it’s healthy! Like spicy? Well ordering a set of “spicy tuna rolls” is unfortunately taking a perfectly healthy food (tuna) and pairing it with unhealthy sauces (calorie-packed heavy spicy mayo) and then deep-frying it. Doesn’t sound like traditional sushi to me. I know, maybe you’re thinking, “Why would I eat vegetable rolls when I get sushi?” but vegetable rolls are just as delicious. Plus, eating vegetable rolls is a great way of incorporating more veggies to your diet. (I didn’t say you couldn’t also order a set of seafood rolls! Just don’t order an excessive amount.) I love avocado and squash rolls, or just ordinary veggie rolls, which are filled with nutritious nori, cucumber, carrots, avocado, and occasionally, squash. (Many vegetable rolls include “sea vegetables,” or, yes, vegetables from the sea, which are a powerful healing food and are delicious). Go for the perfect balance when choosing your rolls. You won’t be disappointed! On the other hand, tempura is a code word for “fried,” which will actually increase your risk of heart disease. (And it sure isn’t brain food.) Plus, do you really need fried batter for your sushi to taste great? It’s not a doughnut! When it comes to sushi, less is more. If you’re a chopstick novice, practice perfecting your chopsticks to enjoy your rolls at a slower pace. Don’t down a set of rolls before you actually taste the fresh ingredients. A typical serving size is one set of rolls (about six pieces), so don’t go crazy and order everything on the menu (and then dessert). Still hungry? Try a green salad with delicious ginger sauce, or a bowl of miso soup, which has less than 75 calories and offers a powerful kick of nutrients. Avoid added ingredients and unnecessary sauces when you can eat and enjoy traditional sushi — minus the calories. You can enjoy the simplicity of seafood and vegetables without adding a thick batter, deep-frying, or adding gratuitous sauce when you don’t even need it! So, if you find yourself asking, “Is sushi healthy?” Yes and no. Just be smart about your roll of choice! What’s your favorite sushi roll? Leave me a comment below! I love a good meal, especially after a long day at work, or even, a busy morning at the office. In all honesty, I probably think about my next meal far too often, which is why I always keep some healthy snacks around my apartment (and loads of peanut butter). I love comfort foods, but I love making simple food swaps to make my go-to meal a healthier, more satisfying choice. Whether I’m cooking dinner, making lunch, or throwing together a breakfast, I don’t skim on the nutrients (no matter how tired I am). With empty calories, I end up feeling really full, then feeling very hungry within a few hours. (Sorry, pancakes — I’m talking to you.) When it comes to eating well, I try and pack lunch as often as I can, so I don’t feel starving by the time I realize I should actually eat lunch. Crazy as it may seem, I’ve never actually eaten a cheesesteak in my life (and yes, I live in Philly). Once I tried a nibble of my brother’s and couldn’t even finish it. I know, I’m crazy. When I make my own homemade meals, I do not sacrifice taste. I don’t make a big bowl of plain oatmeal pretending I’m in heaven, but I just don’t sit around eating sugar-laden oatmeal either. Healthy food doesn’t have to be bland, boring, or just plain, tasteless. When it comes to choosing the right foods, I find the perfect balance. I am a passionate avocado advocate. Whether I’m eating it as guacamole (I’ll pay extra, I get it), as mousse (yes, it exists), or as a sandwich spread, you can find this staple in my fridge far too often. Packed with potassium and fiber, these fruits (yes they are fruits) are good-to-eat even on their own. Avocado can also be used as an alternative to calorie-laden spreads, such as mayonnaise. As opposed to avocado, mayonnaise is actually packed with sodium, calories, and cholesterol. Mayonnaise all-too-often gives your sandwich a bad (w)rap, no matter how many hearty vegetables you packed in. Yes, avocado does has fat, but it’s heart-healthy monounsaturated fat. 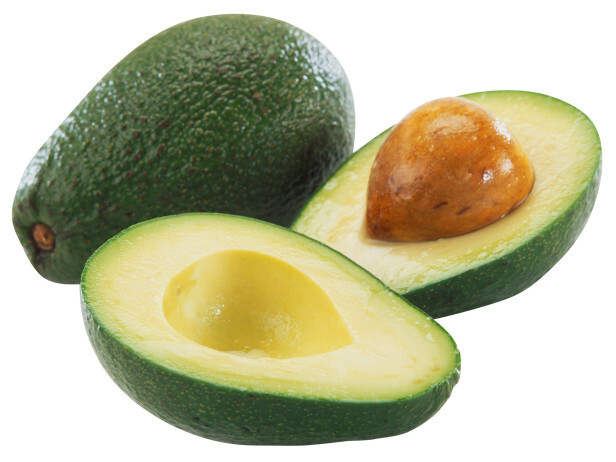 Did you know an entire avocado has only 14 mg of sodium, and only two tablespoons of mayonnaise has nearly 200 mg? Mayonnaise: barely any nutrients. (For no nutrients, I’d rather eat an ounce of chocolate!) Avocado: lots of nutrients. I think the winner of the battle is evident. You may think choosing any green for your salad is acceptable and healthy, but don’t be fooled. In fact, iceberg lettuce doesn’t claim much on the nutritional field. On the other hand, another popular salad green, spinach, is packed with vitamins, nutrients, and minerals. 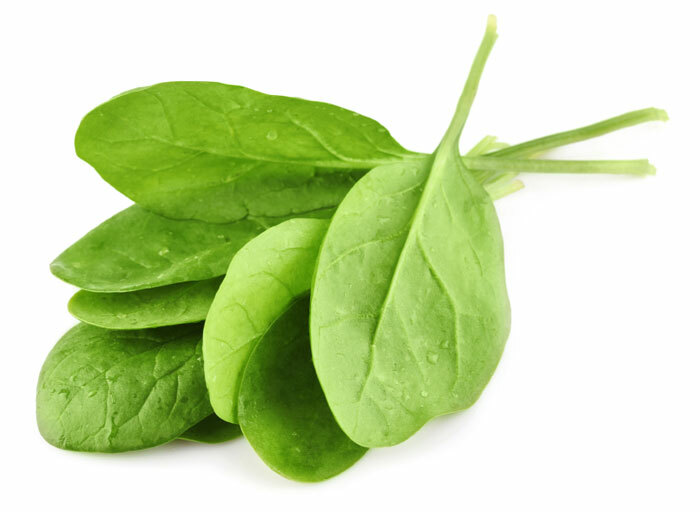 At only seven calories a cup, spinach provides 56% of your daily intake of Vitamin A. Got beef with turkey? Some people assume I’m a vegetarian because I only eat poultry and avoid red meat. I was raised on chicken and turkey, so red meat was never really in my house. I’ve never had a cheesesteak before and I live in Philly. (I know, I’m crazy.) I still eat burgers — just made from turkey. Three ounces of 85% lean ground beef actually has 75 mg of cholesterol. Ouch. Luckily, you can substitute your beef with healthier, lower calorie and lower fat meats, like turkey or chicken. I found a great turkey burger recipe that I try and make at least once a week. I personally love adding a little bit of guacamole (avocado, again), greens, and I’m super satisfied with my meal. 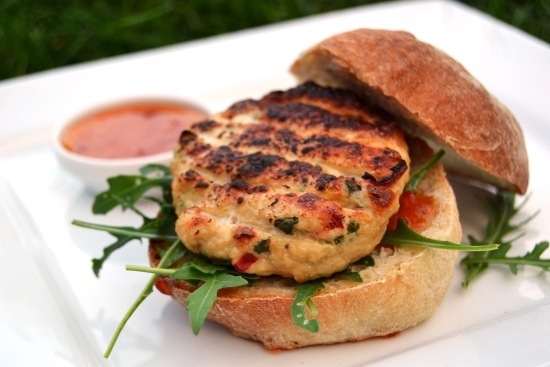 Even if you love red meat, you should give turkey burgers a try! 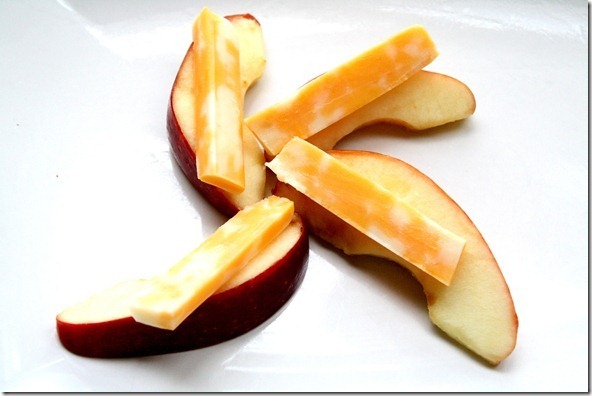 Apples and cheese is actually one of my favorite snacks. As you can tell from my previous post, I love apples, and I usually eat them before I can even cook dishes with them. I’ve never really loved the combination of apples and peanut butter, but I really find the salty-sweet combination of apples and cheese to be really mouth-watering. When I pick a cheese, I try and stick with a lower-calorie and lower-in-fat variety, like part-skim mozzarella, which only has about 70 calories per ounce, or feta cheese, which only has about 75 calories an ounce. You can have your cheese and eat it too. Plain doesn’t mean bland! 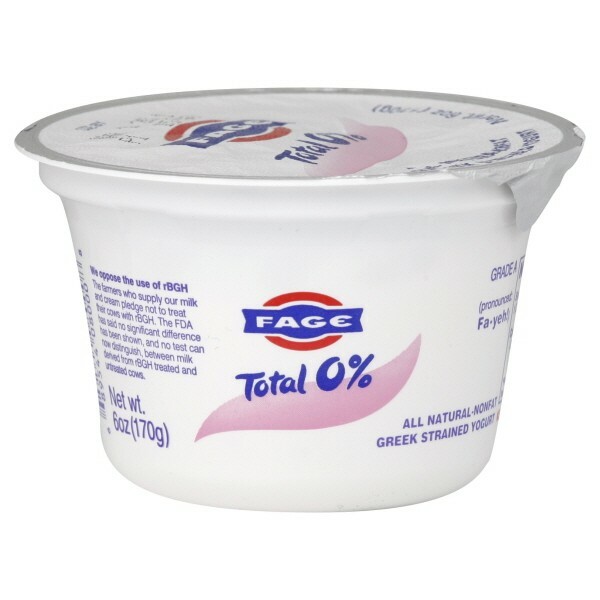 No, you don’t have to give up taste and flavor by getting rid of your favorite fruit-flavored yogurt. Instead, make your plain yogurt actually “fruit-flavored” and adding fresh fruit, like strawberries, blueberries, and adding a nice crunch, like almonds or other nuts. It tastes so much better than artificially sweetened “fruit” in your yogurt, but it’s a great way to add some fruit to your diet. What’s your favorite simple food swap? Leave me a comment below, or let me know on Facebook or Twitter! Monday morning, you gave me no warning of what was to be…. Ok, so no one really likes Mondays, especially when you have a fun-filled weekend. It’s not like we can’t tolerate them, though, with a little brain food. I like to prepare my meals to bring to work (most days) because it not only saves me money, but it also makes me feel healthier, knowing what exactly I’m eating. That being said, I don’t really like spending my weeknights cooking for the week, so I’ll try and make food for the first few days of my work-week on Sunday, when I have free time. 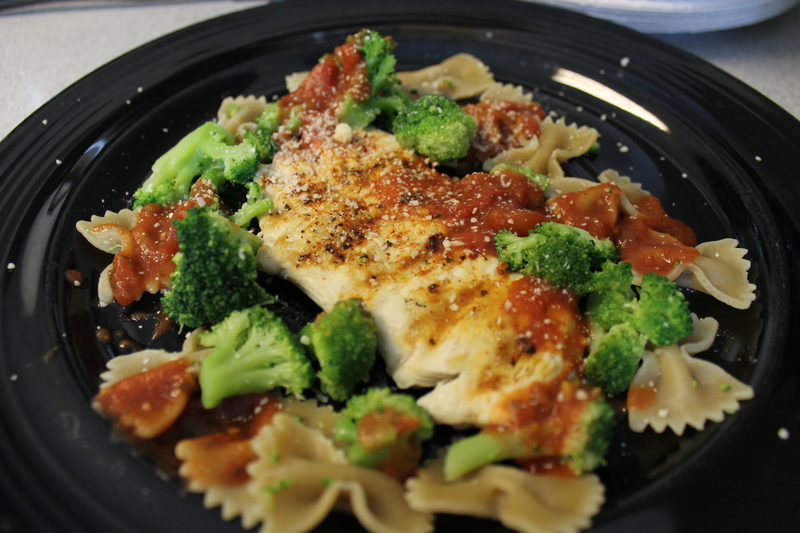 I have a few go-to favorites, but I really love incorporating chicken in most dishes. It’s a great lean protein with vitamins and minerals (which is super necessary to stay focused). I don’t know about you, but I feel beyond sluggish after eating foods with few nutrients and lots of oil, like fries. I also love eating pasta, but who doesn’t? One of my favorite recipes is sautéed pasta with broccoli, but I love adding a protein and swapping the white pasta for whole wheat pasta. I like to cook my chicken on a George Foreman 2 serving classic plate grill because it takes about 1/4th of the time that it takes if I were to cook it in the oven (plus it tastes smoky and flavorful), but if you have another ninja way of cooking, then go for it! 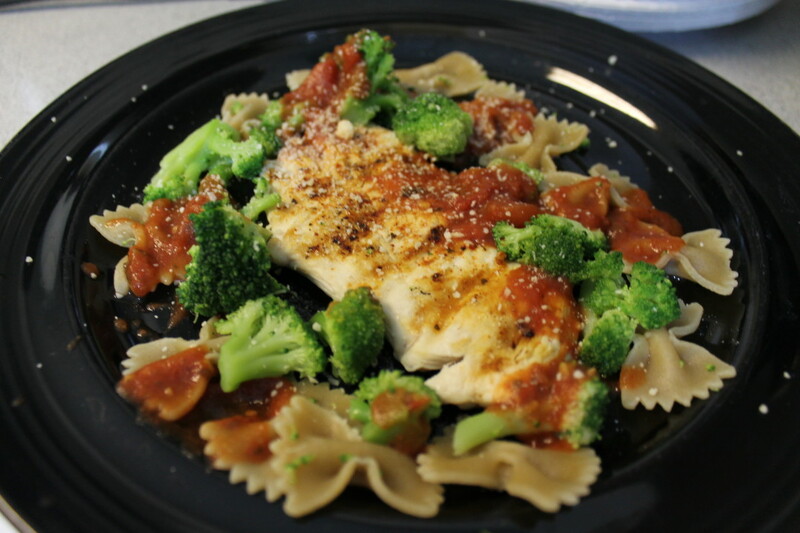 -Combine your cooked pasta, broccoli and chicken, pasta sauce, and serve with garnished Parmesan cheese and additional spices. Enjoy! I’ll get about three tupperware containers out of the above portions since I’ll eat it for dinner as well. After I eat this as my Sunday meal, I’ll put some in a tupperware container to be my savior come Monday at noon. When my stomach starts to growl, I won’t have to reach for the first fast food meal I can find! Have any cooking suggestions? Leave me a comment! I'm Maura, and I like to write greeting cards, seek out fashion photo ops, and play the ukulele (but not simultaneously).